Rated R for language, some drug use and violence. 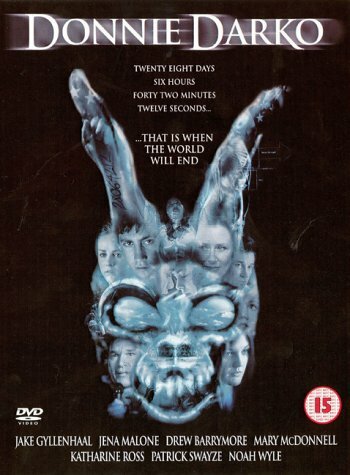 During the presidential election of 1988, a teenager named Donnie Darko sleepwalks out of his house one night, and sees a giant, demonic-looking rabbit named Frank, who tells him the world will end in 28 days, 6 hours, 42 minutes, and 12 seconds. He returns home the next morning to find that a jet engine has crashed through his bedroom. As he tries to figure out why he survived and tries to deal with people in his town, like the school bully, his conservative health teacher, and a self-help guru, Frank continues to turn up in Donnie's mind, causing him to commit acts of vandalism and worse. Who cares? 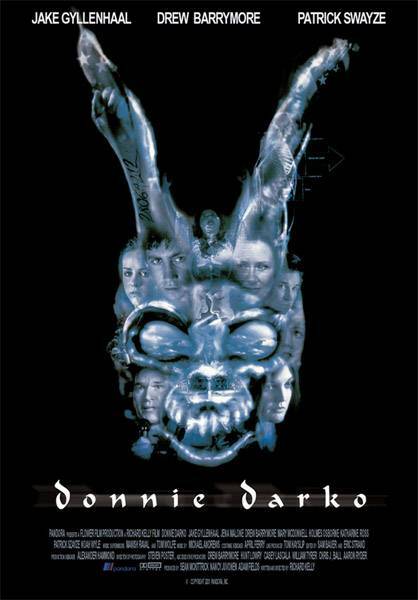 Take a little comedy, toss in some drama, add a pinch of romance,mix the whole thing with some science fiction, and you have "Donnie Darko", which, BTW, you should not consume but flush down the garbage disposal. Novice writer/director Kelly spins a yarn about a delusional burb-dwelling WASP teen male who sees a shrink for performing misdeeds while under the spell of a monster rabbit because he's getting ready to travel through a worm hole....or something like that. 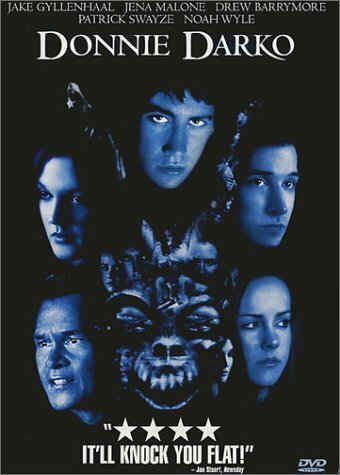 With no reason to give a crap about Donnie, except that he's a cute kid, one can only sit idly watching this confused mess of a movie which counts down the time to doomsday or something and then ends in another place in space/time...as if that were even remotely interesting. 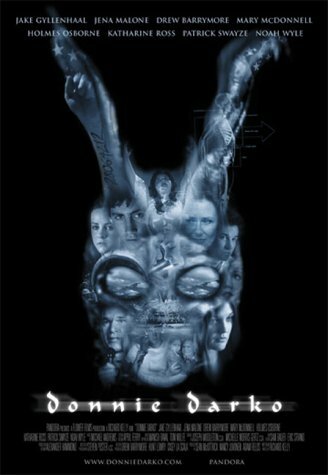 Nonetheless, "Donnie Darko" scored well on this website, so go figure. There's no accounting for taste, hmmm?